Are the Hunters Good or Bad for Rugby League in PNG? They are the feel good story of the year but will it hurt PNG football in the long run? Success on the field. Their start to the season has reminded me of the Broncos in 1988. Wins against the Redcliffe Dolphins away (24-18), at home to the Mackay Cutters (24-16) and at home to the Central Queensland Capras (46-14) have been extremely impressive. People may remember the last PNG foray in the Queensland Cup in 1996 and 1997 by the Port Moresby Vipers, who were ultimately sunk by transport costs. It is important for the longevity of the Hunters that they at least start well. They have managed to maximise that feel good buzz because of their good start. Feel good story of the year. View the link below for just one of the stories the Hunters’ generated. Good press is never bad especially where football is concerned. Larger crowds and more money for Q-Cup teams. As the Hunters have started the season well and generated a lot of buzz and good press this should result in larger crowds and more money for the existing clubs in the Queensland Cup which is essential to the long term sustainability of the Hunters. Think about what would have happened if the Hunters had been soundly beaten in their first three matches. Exposes more PNG players to a higher level of competition and lifts the overall standard of Rugby League in PNG which in turn is better for the national side. There is no denying that the higher the standard the better it is in the long run for a footballing community. The entry into the NRL of the Warriors may not have been the only reason for the improvement experienced by the Kiwis but it sure didn’t hurt. The leap from the Digicel Cup straight to the World Cup or the NRL is too large for all but the most naturally talented footballers so in that respect entering a team in the Q-Cup was a great stepping stone. It means that between 20-25 PNG footballers will be playing at a higher level every year. The depth of PNG football will only benefit. PNG players will not be as overawed when playing NRL stars in the future. NRL stars are venerated in PNG as heroes of the sport. Players like Marcus Bai, David Mead and Ray Thompson have played week in and week out in the NRL competition. Although the Queensland Cup is a second tier competition the Hunters have already come across Anthony Mitchell (Mackay Cutters) and David Hala (Redcliffe Dolphins) who are both NRL calibre players. They will come across many more as the season progresses. Playing these players week in and week out will only improve the confidence of the national team. Better exposure to scouts with a commensurate increase in income to PNG football players which in turn is better for PNG football. If more PNG footballers can earn a living from football then naturally more footballers can train full time. Prior to this year PNG footballing talent wasn’t completely unknown to football scouts, however, evaluating that talent was difficult and expensive. 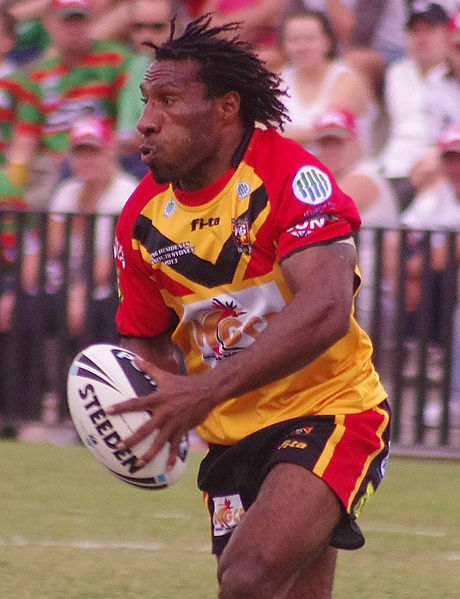 The quality of a performance against the Rabaul Gurias is more difficult to gauge in the overall scheme of things than a player’s performance against the Redcliffe Dolphins. Do not underestimate the benefit of televised games either (round 1 and round 8 matches for the Hunters have been selected by channel 9 so far with rounds 17 to 26 yet to be allocated). Increased opportunities for PNG businesses. Now I’m not saying that PNG will become a tourist mecca overnight but I am saying that a football team plus support staff travelling and staying in PNG every second week during the football season is better for the PNG economy than the absence of those travellers. The good news stories that they are bringing back is indirect advertising. Whether it will offset the cost to the PNG Government is another question, however, Australian Government’s regularly incentivise events in Australian cities to generate visitor income etc. The promotion of PNG that has already occurred (provided nothing bad happens in the future) will be invaluable. Given recent events in Manus Island and on the Kokoda Trail any good publicity to offset such bad publicity will be a boon for the PNG Government I’m sure. Increased exposure of PNG administration to governance standards of Australian businesses. There has been a gradual improvement in corporate governance in sporting teams and not-for-profit organisations across Australia. Exposure to a higher standard of corporate governance will not hurt the PNG sporting administration. The NRL will require an even higher standard before admitting any side into the NRL so meeting the required governance standard of the Queensland Cup will be a good start. Good performance + good press + larger crowds + more money + increased business opportunities + increased governance = Better CV for the NRL. Having a PNG based NRL side is the end game. Whether that ever happens is another story completely. The Hunters are certainly the audition PNG needed to get the attention of the NRL. A fair bit hangs on their continued success. Costs are high. In fact the cost of transport is prohibitively high for travel from Australia to PNG. The Hunters are probably unsustainable in the long term unless profit can be made from the venture and for other clubs in the Queensland Cup. Sponsorship will help. The Hunters can currently boast SP Brewery, Boroka Motors, BLK, National Gaming Control Board, Carmichael Builders, Da Edge, Super Value Stores, Air Nuigini, Digicel, MRDC, Victor, Coca Cola, Intrust Super and Total Food Network. Not an insignificant list. If the Hunters can produce a commensurate uplift in economic value to the PNG economy (not an economist so I’m just speculating) I imagine like any Government sponsorship this will continue to encourage incentivisation by the PNG Government but in the long run the Hunters will have to become a profitable venture for them to continue indefinitely. Devalues the Digicel Cup. Those over the age of 40 will remember the Brisbane Rugby League and the impact of the Brisbane Broncos on the competition. It wasn’t so much the player talent drain which had started happening many years before with the richer NSWRL. It was more the realisation that the Brisbane competition was second tier. Up until that time most casual Brisbane fans had a Sydney team and a Brisbane team which they followed. 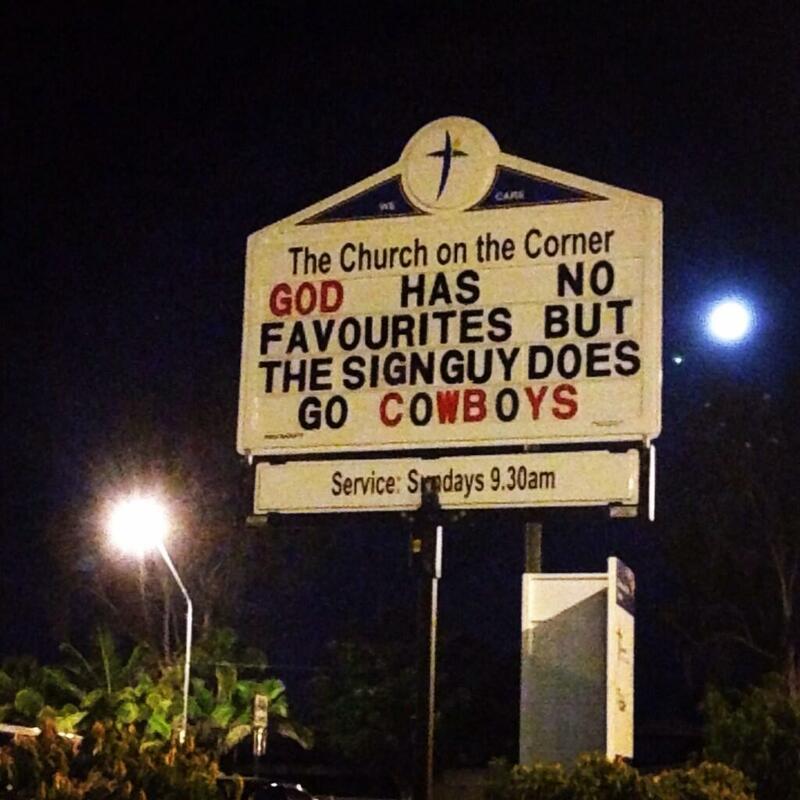 That all changed after the 1987 Grand Final between Brothers v Redcliffe. A large number of fans in Queensland were immediately won over by the Broncos and the Brisbane Rugby League competition faded into relative obscurity. The recent revival of the Queensland Cup (particularly after the removal of reserve grade by the NRL) hasn’t covered the fact that the Queensland Cup is a second tier competition. I am sure that the Digicel Cup will suffer the same fate. Players will want to play for Qld and NSW. I’ve brought this up before but the NRL needs to protect the international game by excluding players who qualify by birth for another country or they need to throw open the gates and let Origin players play for other countries. Why is this relevant for PNG? Well it has happened already with Adrian Lam, Neville Costigan and James Segeyaro. If Ray Thompson and David Mead continue to trend upwards it may happen to them. Who can resist Mal Meninga or Laurie Daley when they come calling? The money and prestige involved are hard to resist. The NRL has made baby steps but it will need to continue to sort this out. They have 2 choices. Open up State of Origin for all nations (or at the very least emerging nations) or continue to tighten up qualifications (move the age further down from 13 to 10). The argument that Australia has trained these players and should benefit from them isn’t a good one. What about Qld players being trained in NSW or NSW being trained in Qld? Could the money be better spent somewhere else? This is an esoteric question but is the spending of the PNG Government better warranted on other issues? This is a question for the PNG people themselves as it has little impact on my life. Ultimately this will need to be weighed up against the economic benefits generated by the Hunters (both direct and indirect) but some may view it as a negative. After weighing both the positive and the negative I think the Hunters are good for rugby league in PNG, however, much will depend on the long term sustainability of the Hunters themselves, the economic impact they will have and whether the NRL can sort out the eligibility mess that occurs when the premier competition for a sport resides in your country. Gareth Widdop. He has started the season at a torrid pace. I’m sure the Dragons will be quite happy during Origin time as well. Young halves. DCE. Luke Brooks. March Madness. My team Indiana had a sub-par season and didn’t get selected but it doesn’t mean that I’m not pumped for the culmination of the College Basketball season. I’ve got my bracket in. Injuries and suspensions. Josh Papalii, Josh McGuire, Darcy Lussick and Shaun Fensom added to a long list of unavailable players this week. The Titans wilting under the heat and momentum of the Tigers. The Warriors. Was it the Eden Park curse, the curse of playing the Dragons, Matthew Elliott’s coaching or are they just playing badly. They need to bounce back soon. The Sharks. If ever a team had it’s back against the wall it is Cronulla. No premiership ever, small supporter base, ASADA scandal, suspended coach, injured players, two of their brightest stars off to the Bulldogs (Andrew Fifita and Michael Lichaa) and the recent standing down of Lichaa. Tigers, Manly, Broncos, Warriors and the Dragons for spoiling my tipping round with upsets. It was sad to see Jharal Yow Yeh retire at such a young age and a reminder for players about their mortality and the short nature of football careers. It was a nice touch for the Broncos to rest the number 5 jersey on Friday night. They didn’t seem to be policing the third tackler in rule in Cows v Broncs. Oversight or interpretation update? Anthony Minichiello – Run Metres – 173m, Line Breaks – 3, Tackle Breaks – 9, Tackles – 2, Missed Tackles – 1, Errors – 0, Tries – 3 and Concessions made due to age – 0. What do you think, are the Hunters good or bad for PNG Rugby League? This entry was tagged Australia, Football, NRL, PNG, PNG Hunters, Queensland Cup, Rugby League. Bookmark the permalink. I have to say for a person who is not an avid sports fan I am enjoying reading your blog about sports, it is interesting and informative, although occasionally the detail (your stats that you so love) gets the better of me, and I skip that section, each to his own. Keep up the variety of topics. Thanks. I do love my stats. Thanks. I appreciate the feedback. I hope your room mate enjoys it as well.